Winter weather is cute in theory, but it can stress the hell out of your skin (especially if you’re in NYC, like us, where the weather is unpredictable AF.) Whether you have oily, dry or “combination skin”– aka “oily here, dry there” – we’ve got a few tips to keep your face and body soft and clear til spring. -Use a sheet mask at night at least once a week to deeply moisturize. Especially helpful if you live in a home with dry heat. Can be left on for 20-30 minutes or until the mask dries out. Check out our post on proper sheet mask use to make sure you’re doin it right. -Egyptian Magic is a multi-use salve to apply before bedtime after washing your face. An all-natural replacement for vaseline great for super dehydrated skin. *Bees wax is a common allergen so patch test first! 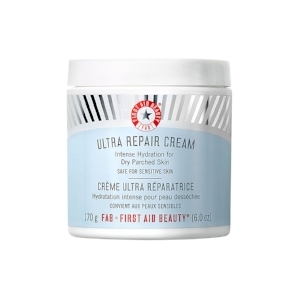 -First Aid Beauty Ultra Repair Cream lives up to its name. This cream is great for eczema or dry patches. Truly a great rescue cream to dab any inflamed and cracked skin. -Regular moisturizing, day and night! This is a given but it's easy to forget. Burt’s Bees Daily Moisturizer is an inexpensive option. 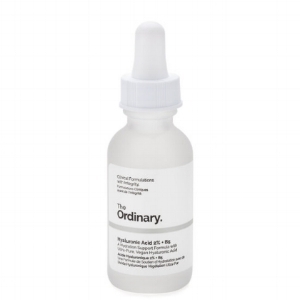 -The Ordinary Hyaluronic Acid 2% +B5 applied before lipstick or a lip balm helps bring extra moisture to the surface plus it firms and plumps your pout (also great all over your face under moisturizer). -OY-L Latte Manuka Honey Lip Balm is really helpful for keeping flaky lips at bay and major bonus: it smells delicious. -Ohii Lip Jelly is one of our fav go-tos right now. Parched lips instantly look and feel quenched. It comes in mint, agave, or rose and for only $8 it’s hard to beat. -Keep a hand cream in your bag or at your workplace. O'Keeffe's Working Hands Hand Cream is great for people in environments where getting your hands wet is frequent. It locks in moisture and helps heal, relieve, and repair extremely dry or cracked hands. -Don’t need something so intense? J.R. Watkins Hand Cream is effective for daily wear and tear on your hands. It comes in a variety of fragrances but so far our favorite is lavender. -Pumice Valley’s eco friendly tools are great to keep in your shower. This natural stone can be used on the feet to soften calluses and remove dry skin. -Skin Food Black Sugar Mask is so gentle it can be used from head to toe. If you’re using it on your face we recommend applying and then letting it sit for ten minutes. Then rubbing it in so the sugar dissolves a little and it becomes less abrasive. -DIY scrubs. You can always make your own scrub to exfoliate and use on your dry, cracked areas. Coconut oil, sugar, coffee grounds and any essential oils make great ingredients. -Plain old Cocoa Butter/Shea Butter are great to use as an allover lotion and Shea Moisture even makes it in a super hydrating bar soap! -The Seaweed Bath Company has a great selection of body creams that leave you smelling fresh and your skin feeling super soft. We are fans of the Enlighten Firming Detox Body Cream. Pick it up at your local Whole Foods or order online. Have a product you swear by for winter?Let us know on Instagram or hashtag #beautydummyskincare! Newer PostBlogger BFF: Anjali Desai! Older PostDIY Trick: Mayo as a Dry Scalp Treatment!